From DeWitt Davis of north charleston, South Carolina on 2/19/2019 . The product is perfect for my use. I will be ordering for my drivers. From Joan Romero of Moreno Valley, California on 11/6/2018 . Great quality and design, fast shipping; will buy from them again. Great quality, fast shipping, very happy; will buy from them again. From Christina Smith of Silsbee, Texas on 6/21/2018 . Perfectly made and looks great with my uniform. From Anonymous of Phoenix, Arizona on 3/12/2018 . Quality is great and exactly what we were looking for. Sure we will be ordering more products from your company. Great service, timely delivery and quality products! From Anonymous of Fort Worth, Texas on 8/6/2017 . 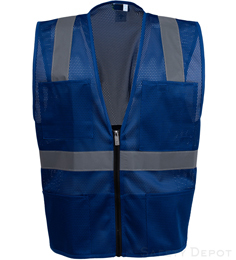 Excellent quality vest in a unique color, I love it! From Frank Buck of Houston , Texas on 3/10/2017 . Well manufactured and quite breathable. Very satisfied with purchase. From Micheal of LaPorte, Texas on 10/26/2016 . 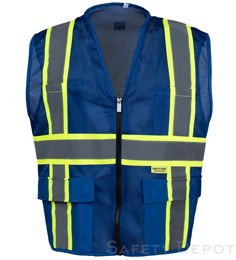 Safety Depot has been very prompt with the delivery of my vest order. The vest are excellent with plenty of pockets. Only regret I have with vest is that they are not FR (Fire Retardant). 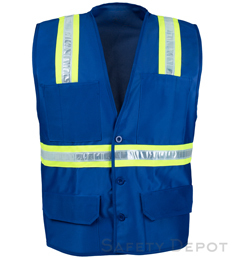 Hats off to Safety Depot for fast and prompt service and quality Vest. From OSCAR DIAZ of SAN JUAN, Puerto Rico on 8/25/2016 . From Lupe of Uvalde, Texas on 8/4/2016 . 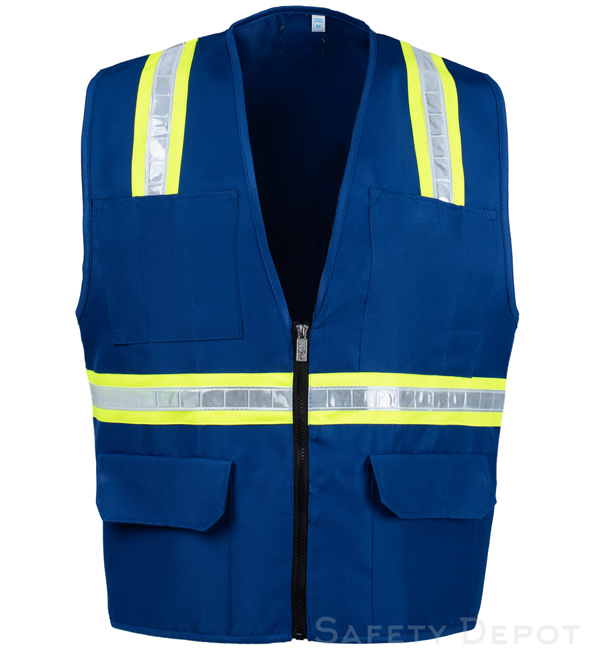 very satisfied with item, second time ordering vest, color, texture, just as describe on web site. From Pamela Curry of Crossville, Tennessee on 12/17/2015 . I purchased this vest for my husband. He is very happy with the purchase - it's hard to find safety vests with both pockets and a zipper. This was exactly what he was looking for. From Anonymous of Trujillo Alto, Puerto Rico on 8/13/2015 .